Now you can record and play back phone numbers, addresses, shopping lists, reminders, brilliant ideas, to do lists, notes, appointments, messages, directions, meetings, lectures, audio instructions or virtually anything you want to remember on your personal digital voice recorder! NEW version now includes a Check Message Button that quickly allows you to check how many messages are stored with the push of a button. 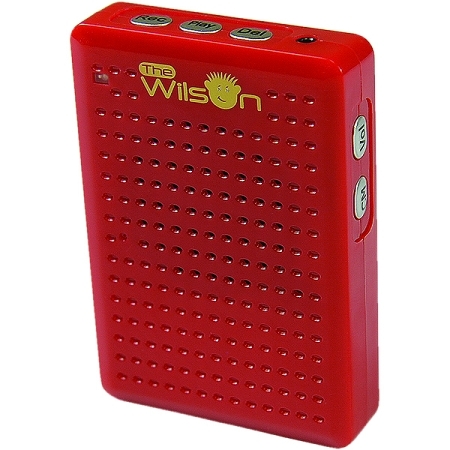 The simple-to-use Wilson Digital Voice Recorder gives you up to 12 hours of continuous recording time. 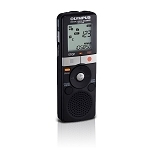 You can playback messages through its built-in speaker or privately using the included earpiece. Store multiple messages - 256MB Memory. Easily add and delete messages. Pause while recording. Clips to belts, purses, backpacks and car visors. Uses 2 AAA batteries (not included). Includes clip and privacy earpiece. One-Year Manufacturer's Limited Warranty.